Ron is a trial lawyer with diverse experience in complex commercial litigation matters. He represents clients and tries cases across a broad range of practice areas, including products liability, personal injury, employment litigation, professional malpractice, intellectual property, construction law, healthcare, first amendment claims, insurance and surety claims, government and contract bidding and compliance, antitrust, trusts and estates, federal and state tax litigation and general commercial litigation. 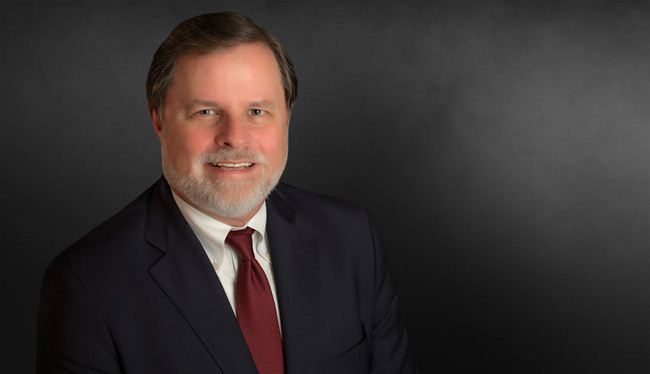 His experience includes class action defense in employment litigation (discrimination and FLSA claims), catastrophic personal injury defense, consumer claims, insurance coverage claims and product liability claims. He has represented a wide variety of clients in both the public and private sectors, including airport authorities, cities, hospitals, banks, medical device and drug manufacturers and distributors, package delivery companies, national retail and restaurant chains, real estate developers and insurance companies. Ron has experience handling litigation involving agency and sponsorship disputes, and has assisted in trademark enforcement matters for professional sports teams and leagues. Ron has lectured and written exclusively on the subjects of legal ethics, construction law and labor and employment law, including both national and local presentations to for the Association of Corporate Counsel, lectures for Lorman Education Services and the Florida Charter School Conference and articles for the Association of Corporate Counsel and for the Orlando Business Journal. He is also the co-author of the Rights and Liabilities of Construction Managers of the Florida Construction Law and Practice guide published by the Florida Bar Association (Third Edition) and a recipient of the Award of Excellence from the Legal Aid Society of the Orange County Bar Association in recognition of his pro bono representation services to the poor. Obtained a $15 million judgment following a jury trial for civil theft and RICO violations against a former employee of a car dealership and his co-conspirators stemming from an elaborate scheme to engage in unauthorized sales in territories outside of the continental United States. Collected $52.8 million settlement during trial for financial bond insurer MBIA against a publicly traded property manager for damage to a student housing complex. Represented a global package delivery and logistics company in a series of race discrimination cases brought by a would-be class, obtaining defense verdicts in each of the cases in which judgments were rendered. Obtained favorable settlement early in the litigation process for a major automobile insurer in a class action related to alleged underpayments for medical services. Obtained dismissal of a class action for a major restaurant chain alleging improper assessment of sales tax. Successfully tried a case for an online pharmacy distribution network, defeating former employee/officer’s $17 million claims for tortious interference, business defamation and breach of contract. Successfully resolved catastrophic personal injury claim for an infant born prematurely following mother’s slip and fall in retain establishment for a low six figure amount, where plaintiff’s anticipated future medical costs exceeded $25 million. Participated in obtaining a defense verdict for a major retailer in an RSC/CRPS case in which injured customer sought damages in excess of $15 million. Obtained a statewide injunction for a major retailer, prohibiting union organizers from accessing company property and from interfering with or harassing the company’s customer’s or employees. Represented an electrical supply distributor in multi-district products liability actions alleging business and property damage from allegedly defective surge protector units. Represented a title insurance company at trial in its defense of claims arising from an unidentified electrical easement on a multifamily development tract. Obtained a $4 million judgment for a commercial office tower owner against a guarantor of a tenant that defaulted on a multi-year lease. Obtained a judgment in an administrative hearing for an airport authority, defeating the State of Florida’s challenge to the airport authority’s claim of exemption from sales tax on portions of revenues received from commercial property leases and concessions, resulting in an annual tax savings to the airport authority in excess of $5 million. Represented a 765-unit beachfront condominium association in a successful challenge to ad valorem tax assessments, resulting in a reduction of taxes in excess of $6 million. Obtained a defense verdict in a national origin discrimination claim lodged against the company and its president. Obtained defense and directed verdicts on behalf of a major package delivery company in actions involving alleged violations of the ADA, workers compensation retaliation and whistle blower claims. Represented a foreign hotel operator in a case seeking damages from both contractors and engineers responsible for faulty electrical wiring that resulted in damage in excess of $3 million. Represented a major healthcare insurance provider in a copyright action alleging overuse of licensed software. Obtained a favorable settlement on the eve of trial. Represented major retailers, home healthcare companies and renal dialysis facilities in catastrophic injury cases. Represented airport authorities, hospitals, hotel operators and various commercial property owners in a variety of construction litigation matters. Represented a variety of contractors and concessionaires in bid protest before multiple federal, state and local agencies. Represented both charitable agencies and individuals in multiple trust and estate litigation matters. Legal Alert: The Department of Labor Is Ready for Salary Changes in December – Are You?